Calculating exact printing costs is tricky business, but important to do if you really want to get a handle on your expenses. You may find, especially if you need many copies of the same document, that it is significantly less expensive to outsource the print job. Let's start by crunching some numbers. Calculate how much your paper costs per page. Look at your receipt for the paper you purchased (make sure to include the tax) and divide it by the number of pages in the package. If your premium glossy photo paper cost $12.00 and there were 25 sheets in a pack, then your per sheet cost is $.48 ($12.00 divided by 25). Calculate your ink costs per page. This is the most difficult calculation of all, and is only accurate if you are able to run a controlled test (described in the next step below). Manufacturers of ink cartridges rate their cartridges in term of number of pages you can print at a certain percentage of ink coverage. For instance, if the manufacturer rated their black ink cartridge at 50 pages at 100% coverage, this means that you could print 50 pages per cartridge, and each page would be completely covered in black ink. The reality, though, is that pages of text usually only have a 10% coverage: the rest is white space on the page. That means your black ink cartridge would print 500 pages of text before needing to be replaced (50 times 10). So if you are printing text pages and your black ink cartridge costs $20.00 and will print 500 sheets before needing to be replaced, your ink cost is $.04 per page ($20.00 divided by 500). Therefore, your cost per page for paper and ink is $.52. This calculation gets much more difficult, though, when you start adding color cartridges. Run a controlled test. If you are printing many copies of the same color file, buy a new set of ink cartridges for your printer and install them. Then keep track of how many copies you can print before your ink cartridges have to be replaced. For instance, say your ink cartridges cost $100.00 and you are able to print 100 copies of a color file that has a 50% page coverage. Your cost is $1.00 per page ($100.00 divided by 100). You can then estimate that if your color file had a 25% coverage, you would get 200 prints and for a 75% coverage you would get 50 prints. Remember to take into account the color palette of your file. If you ran a controlled test as described above, all you will know for sure is how many copies of your test file could be printed before changing cartridges. Most files have individual color palettes. For instance, if you are using a lot of blue, your cyan cartridge will run out before your yellow cartridge does. If you are using lots of green, your yellow and cyan cartridges will run out before your magenta cartridge. It is difficult--if not impossible--to predict exactly how many pages you will get out of a set of ink cartridges unless you run a test for each file you plan to print. This is why most designers use a rule-of-thumb that says one color page at 50% coverage uses $1.00 worth of ink. This means that if you have lots of photos on a page (more than a 50% coverage), you may be using $1.25 to $1.75 worth of ink per page instead. Calculate your per-page cost for your printer. Most printers are rated for the number of pages they can print before needing to be replaced. For home inkjet printers, that number is typically 20,000 to 30,000 sheets. If your printer is rated for 25,000 sheets, for instance, and it cost you $250.00, then the printer costs you $.01 per page. Add together your direct costs: the cost of the paper per page, the cost of the ink per page and the cost of the printer per page. The sum will be the cost of the materials for each page you print. Add your indirect costs if you want to be maniacal about determining your printing costs. While I do not necessarily recommend figuring costs to this extent, if you are running a business it may be worthwhile. Your printer uses electricity to run, and you need to pay for that electricity. So does your computer, which is giving commands to your printer. You can check the electrical rating of your printer and computer against the total usage of your electricity bill, and then first divide the total usage by the ratings, and then the result by the number of pages you are printing. This will give you an approximate per-page cost for the electricity used to print it. Similarly, if you are renting your workspace, your printer has a footprint in the space and therefore you can calculate how much it costs per month to use your printer in the space. For instance, if your office is 500 square feet at $1,000.00 per month, you are paying $2.00 per square foot per month. If your printer's footprint is 2 square feet, then it costs you $4.00 per month to have your printer available. And if you print 200 pages per month, then it cost you $.02 per page in rent. If you are only printing a few copies of a page or simply print them up periodically as needed, a home printer is a cost-effective way to go. If, however, you want to print a specific file in color and in quantity, it would be much cheaper for you to outsource the printing to a professional printing company. A resource is given below to help you find one. You can lower your per-page costs by purchasing your paper and ink in bulk. You can also save some money by refilling used cartridges. Here are reviews of ink cartridges, many of which share the ink's rating. 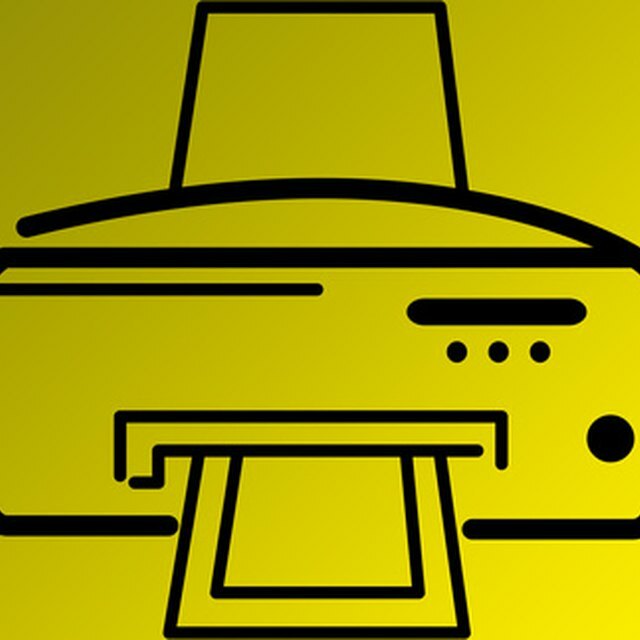 Here is a directory of professional printers online.